Eco-toilets are more environmentally sound than conventional flush toilets. In addition to conserving drinking water, eco-toilets also divert and recover the majority of nutrients in human waste. These natural byproducts can be recycled into compost and fertilizer to grow plants. A number of eco-toilet systems are already permitted for use in homes, business and schools in the Commonwealth of Massachusetts; others are being assessed by the state for future use. Each type of eco-toilet has different features, advantages and limitations. Eco-toilets can easily be installed in new construction, and can usually be retrofitted to an existing home. 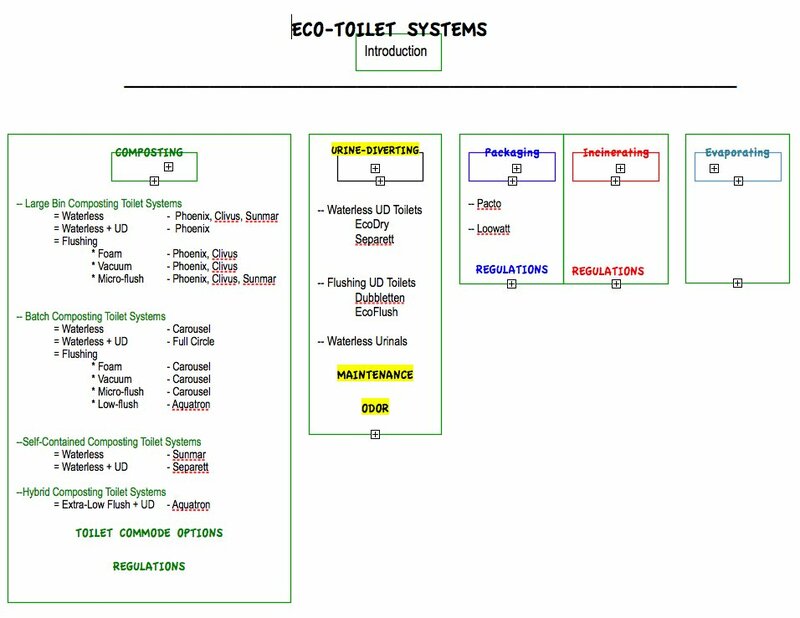 A breakdown of eco-toilet options and possible combinations. Click to enlarge.